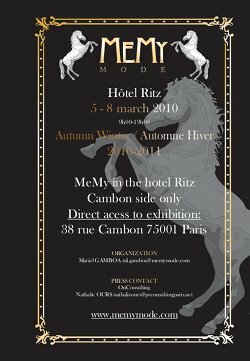 FUGAHUM 2010AW exhibition in Paris. Born in Osaka in 1978. He studied Graphic Design at Osaka Communication Art School. He is currently its art & visual director. Born in Osaka in 1980. She studied Fashion Design at Seinan College of Art and Design. After graduation, she joined Yohji Yamamoto Inc. in 2000. She worked at the department of Yohji Yamamoto Femme until June 2006. Then she quit, and started FUGAHUM with Akiyoshi Mishima.